The priest from Fukuzenji Temple is sitting cross-legged on a cushion in front of us like a Zen-sage. He has his back to a window of the Taichoro Guesthouse as he explains the significance of the astounding view before us. 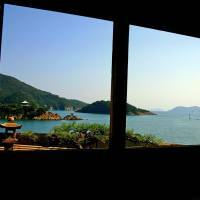 We are looking out at the nearby islands of Sensuijima and Bentenjima floating in a sapphire sea. 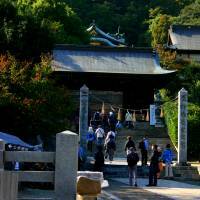 On the small eminence of Bentenjima, a two-tiered pagoda pierces the pines like an orange crown, while a tiny torii on the shore lets visitors know the island is sacred. In 1711, the Korean envoy I-pan-on famously referred to this as “the most beautiful view in Japan.” But, continues the priest, “it’s not just a pretty view.” For centuries it also served as part of a cosmic calendar. “The positions of the stars and the planets relative to those islands told people when it was time to celebrate the solstice, equinox, October moon and new year,” he explains. He then brings out a box of ancient relics — sundials, scales, lanterns, scrolls — a treasure trove of memories spanning hundreds of years. Each object has a tale to tell and he intends to recount them all. But before he can, our guide apologizes and bows — his head nearly touching the tatami — telling him we’re out of time. We have to hurry to make way for the next group of visitors, waiting below. The priest makes a confused expression, then shrugs his shoulders. Time? Hurry? Such concepts are alien to his universe. 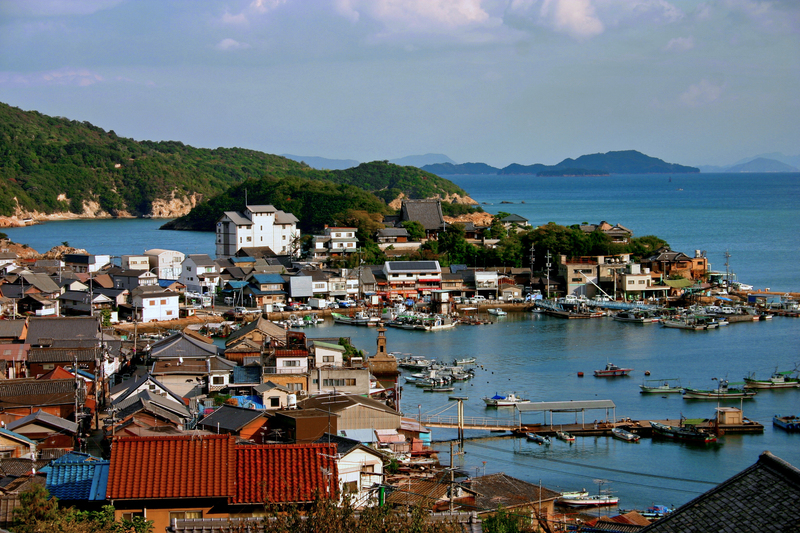 We shuffle out of the Taichoro Guesthouse into the dazzling morning sun of Tomonoura, a delightful little fishing town at the tip of the Numakuma Peninsula, 14 km south of Fukuyama, Hiroshima Prefecture. 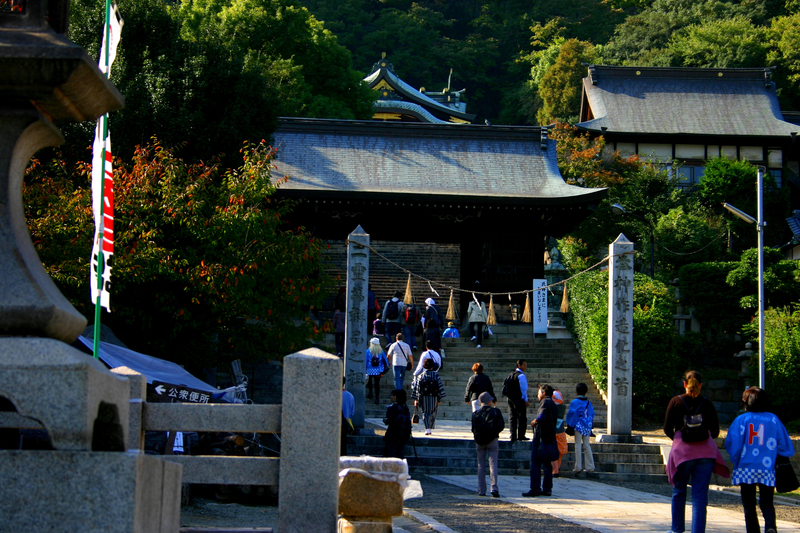 Taichoro is a National Historical Landmark, built in 1690 adjacent to Fukuzenji Temple as a guesthouse for visiting emissaries. The story of the celestial calendar is just one of 1,000 charming tales woven deeply into the town’s fabric. I will remember my wife who used to see the tree with me. In 1929, Tomonoura’s seascape inspired blind koto maestro Michio Miyagi (1894-1956) to compose “Haru no Umi” (“The Sea in Spring”). More recently, in 2008, anime director Hayao Miyazaki chose the town as the setting for his “Gake no Ue no Ponyo” (“Ponyo on the Cliff by the Sea”), after spending two months at a house overlooking the port. Then in September 2012, Hollywood director James Mangold and the cast of “The Wolverine,” including actor Hugh Jackman, descended on the town to shoot some scenes for the film. Mangold chose Tomonoura out of more than 50 villages throughout the country because it evoked the beatific Japan he knew from the films of Yasujiro Ozu. Jackman even went fishing in the bay and tweeted photos of himself with the iconic 17th-century Joyato Stone Lighthouse in the background. It seems that 1,300 years after Otomo penned his poem, Tomonoura’s timeless view still bewitches everyone who sees it. In 1983, this invaluable piece of living history came under threat when local authorities announced plans to build a 180-meter bridge right across the old port area, along with a 4.6-hectare landfill and a large car park, which would virtually obliterate the fabled view. Despite vociferous opposition from residents, Tomonoura seemed doomed to lose its most famous asset. Its plight attracted unprecedented attention from more than 45 national and international preservation groups, including the World Monuments Fund and the International Council on Monuments and Sites. The WMF even helped restore one the town’s historic merchant houses. The house is now an information center and guesthouse. In April 2007, around 160 local residents filed a lawsuit asking Hiroshima District Court to prevent Hiroshima’s governor from issuing a reclamation license. Nevertheless, in June 2008, local authorities requested permission to commence work on the project. Then, in October 2009, the court made a landmark ruling, blocking the project and recognizing the residents’ right to preserve their townscape. Almost three decades of intense struggle paid off in June 2012, when Hiroshima Gov. Hidehiko Yuzaki, who took office after the court’s ruling, scrapped the bridge project and undertook to preserve the port area. “It’s a big and good step forward when we think about the future of Japan, not only about Tomonoura,” commented “Ponyo” director Miyazaki, praising this rare victory of conservation over concrete. So what exactly inspired such tenacious resistance to development? Well, there’s far more to Tomonoura than its enchanting view. For a start, it’s the only complete Edo Period (1603-1868) port in Japan, boasting around 80 buildings from that time. But its historical importance goes much further back. Tides from the east and west collide here, so since ancient times ships would be forced to wait for the tide to turn, earning it the name “Shio Machi no Minato” (“Port of Waiting for the Tides”). In those days some ships would also use the sheltered bay as a refuge while waiting for storms to pass. During the Edo Period the port prospered as it was used for domestic trade and for ships from continental Asia, too. It is said that its shops were so busy they remained open around the clock. Emissaries from Korea and the Netherlands praised the beauty of the town. It is also believed that poet and scholar Sanyo Rai (1780-1832) worked on his influential history of Japan, “Nihon Gaishi,” in Tomonoura, and anti-shogunate royalist Sakamoto Ryoma hid here after his ship, the Irohamaru, was sunk in 1867. The wreckage was only found 100 years later, and is now on display in the Irohamaru Museum, beside the Joyato Lighthouse. 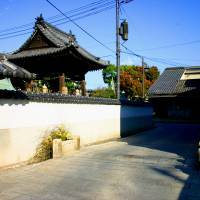 This rich historical legacy infuses into Tomonoura’s labyrinth of narrow streets, old temples and wind-whipped alleys, where every other building is a designated national asset. You can even smell this history in the old wood of the merchants’ houses, such as the Ota Residence, a former homeishu (rice wine made with 16 herbs) brewery. It’s famous not only because its early-Edo owners had the exclusive rights to produce homeishu, but also because, in 1863, Sanjo Sanetomi and six other court nobles stopped off here on their flight to the Choshu region (present-day Yamaguchi) following the coup of Sept. 30, 1863. 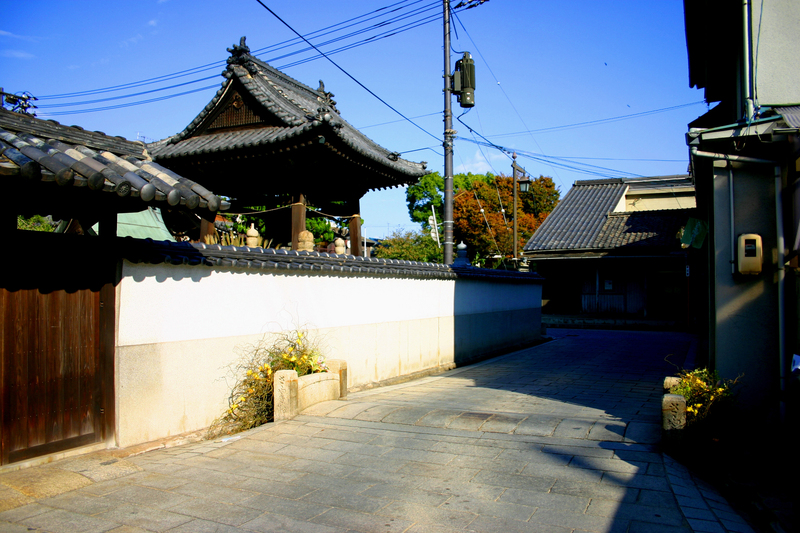 Tomonoura’s history lives on in local legends, too, such as the tale of Whispering Bridge — the town’s very own Romeo and Juliet. During the time of legendary Emperor Ojin (reigned 270-310), two lovers — a man in charge of entertaining envoys from Korea and a hostess — secretly rendezvoused at the bridge each night. Gossip spread around town and the two mysteriously drowned at sea. Today, the bridge is just an unassuming hump in the middle of a road, but who doesn’t love a good romantic mystery? 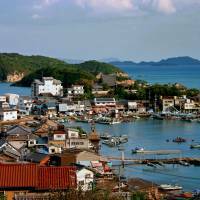 Yet Tomonoura is no mere museum piece — it’s still a functioning port. Wherever you look in the port area, you’ll see fish and octopi hanging on racks to dry in the sun. The tranquil streets are still home to shadowy old shops selling kimono, oars, lanterns, ships’ wheels and homemade homeishu. We treat ourselves to a bottle, along with a bag of sweet lees paste, the owner assures us that it cures fatigue and promotes longevity. Into this crucible of old memories, new ones are continually being added, like new strata in an ancient rock face. In January 2014, AKB48’s Misaki Iwasa had a No. 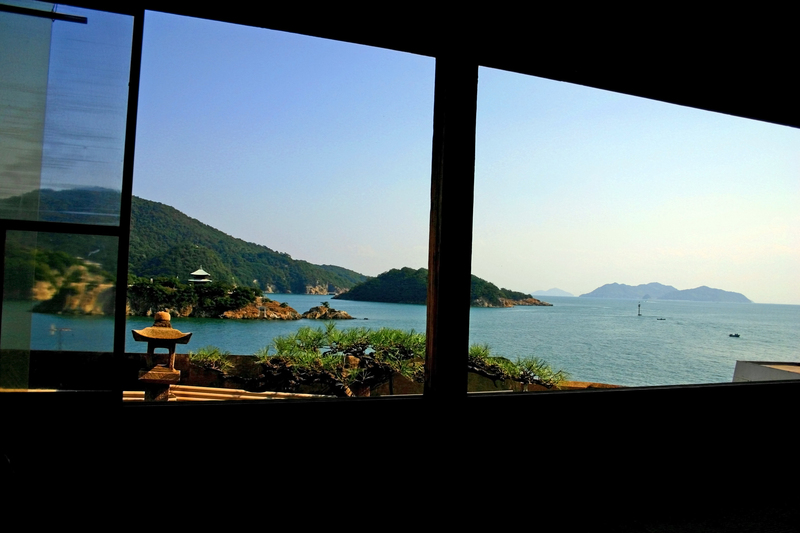 1 hit with her song, “Tomonoura Bojō.” The accompanying video features Tomonoura’s most quintessential sights, including the view from Taichoro Guesthouse — the view that started it all. We couldn’t leave without getting a close look at that landscape. So we took the five-minute ferry ride across to Sensuijima Island and followed a rugged path up and down the rocky coast where fishermen fished and the waves splashed our legs, while the islands of the inland sea stretched away into the mist. It was a little surreal to set foot onto such a storied landscape, like suddenly finding yourself in Vincent Van Gogh’s wheat field. The setting sun glinted on the Joyato Lighthouse across the bay. It was a soul-stirring sensation, being able to gaze upon this tranquil scene unimpeded by a monstrous bridge. After all, it’s not every day you get to stroll through the most beautiful view in Japan. Getting there: Buses bound for Tomonoura leave Fukuyama Station — a station approximately one hour from Osaka by shinkansen — roughly every 20 minutes. There’s not much signage in English, so look for buses headed to Tomo Port (鞆港, Tomoko).